Primary reliability prediction (MTBF / failure rate calculation) is based on one of the prediction methods (like MIL-HDBK-217, FIDES, Telcordia, NSWC or 217Plus) – read more about primary reliability prediction. Different additional reliability analysis tools are available and described below. 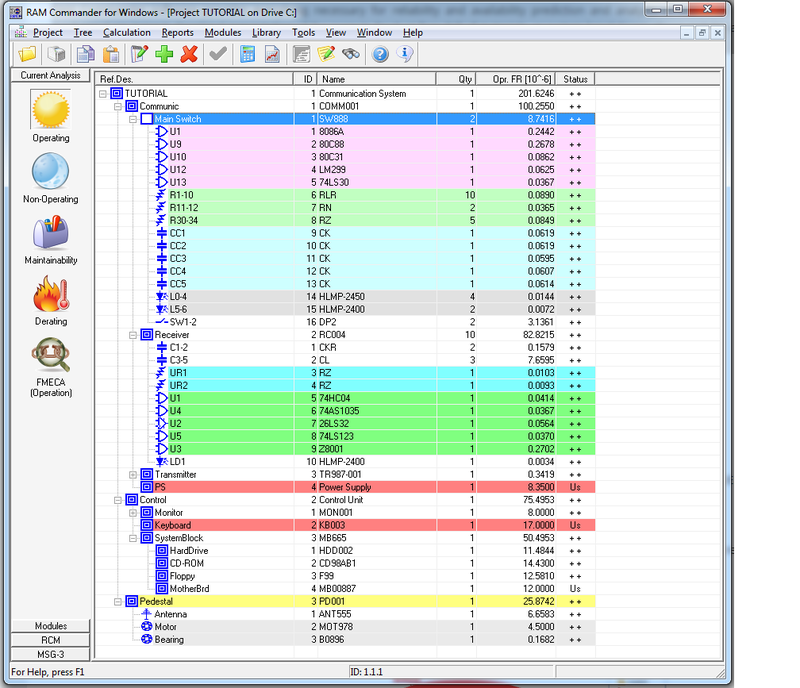 Performing reliability allocation, Pareto analysis, RAM sensitivity analysis producing temperature curves and mission profile are extremely easy with RAM Commander.RAM Commander produces all commonly required reliability reports and allows the user to define customized reports. Pareto analysis identifies components or component families that contribute most significantly to system or assembly failure rate – about 80% of total failure rate. Presents the failure rate or MTBF as a function of temperature: regular, multi-environment & multi-items on one graph. Provides a great solution when Field/Manufacturer’s Failure Rates are known only for a few temperature values and there is a need to input FR values with reference to environment and temperature and extrapolate FR for different other environments and temperatures.